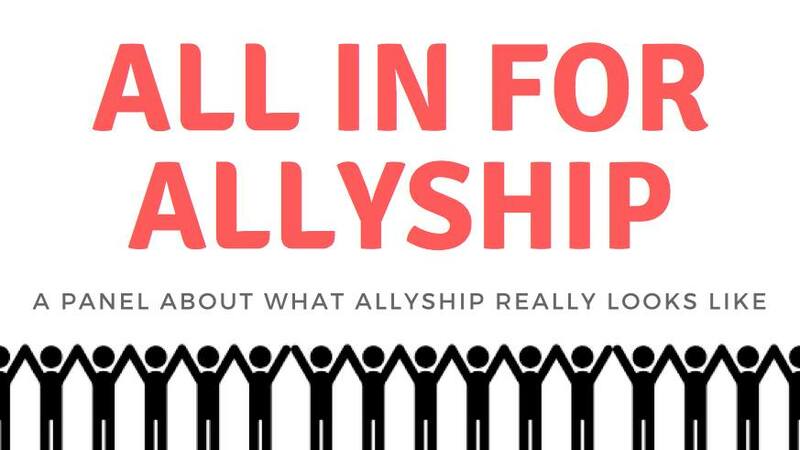 All In For Allyship hosted by Ethnocultural Support Services at Western University, PrideWestern, Ally Western, and Women's Issues Network UWO. The event is taking place on Monday, January 22nd from 7PM to 9PM. This panel discussion, led by five community change makers and earth shakers, will offer a perspective on what allyship looks like within different roles and communities. Panelists will have an opportunity to speak to their experience doing work in community, and comment on what types of actions they consider helpful and un-helpful. What will emerge is a reflection on how allyship is increasingly perceived, contrasted with what type of action communities would like to see.